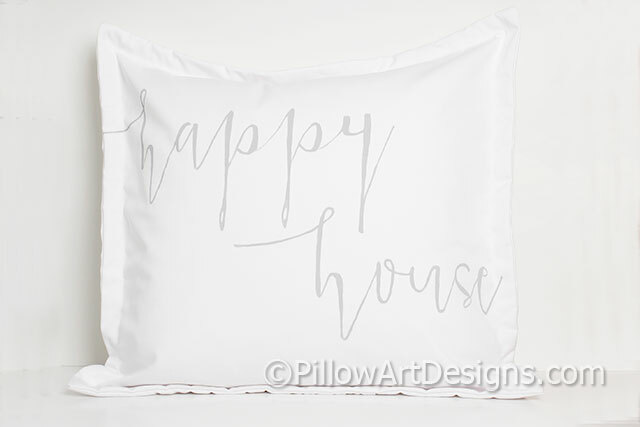 Pillow cover with the words Happy House hand painted on the front in modern calligraphy style. Outer flange measures approx 1" wide. 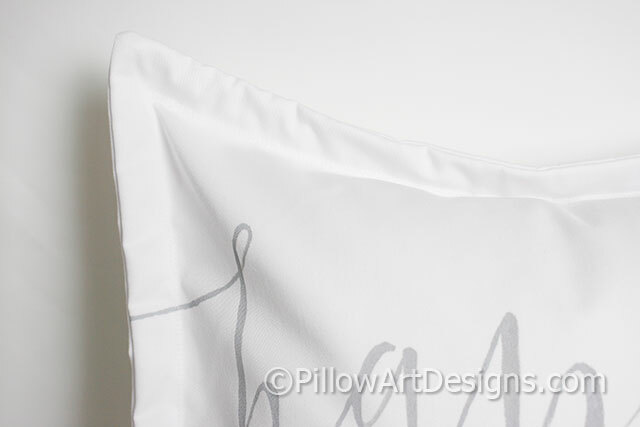 Hand painted using non toxic fabric paint, will not wash off, flake or rub off. 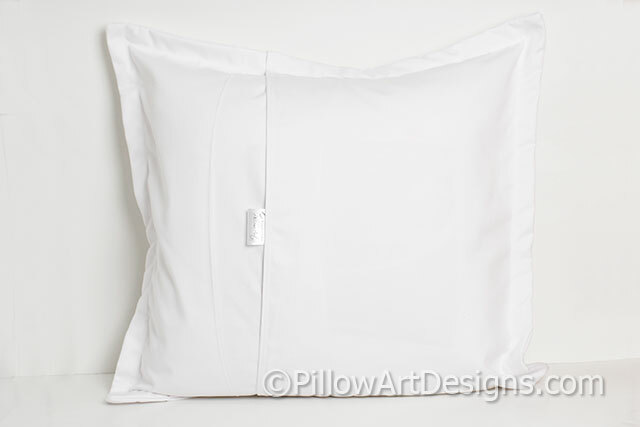 Made to order, please allow 5 business days to complete your order (just depends on my workload).